The Energy Awareness Game© is a fun, entertaining and educational board game. The game uses home ownership as a basis for learning the fundamentals of energy saving and teaches anyone, above the age of 6, energy awareness. Concepts such as electricity metering, are simplified and depicted in a creative manner that’s intuitive and easy to understand. The game interplays ‘Risk vs Reward’, how to manage your risky energy expenses against the reward of more income from energy savings, and serves as a tool to promote energy awareness for all ages. Energy expenses are things like geysers, appliances, chargers, fridges, stoves, kettles, thermostats, etc. For example, to start playing you receive specified cash rentomoney notes, you don’t roll a dice but read an energy saving tip with a movement number on it. The rule is you need to read the tip out load, for all to hear, thereby embedding the information. Studies show repetition brings automatic recognition, so maybe we will now get our kids and office colleagues to ‘Switch Off Something’ once they’ve played the game! The tips vary between residential, commercial and industrial tips so there is something for everyone. The board is divided into 24 landing spaces that consist of energy misuse blocks, where you pay a fine for over filling a kettle before boiling water, or not having a check meter for your electricity bill, to incentive blocks where you collect cash for successfully claiming an energy efficiency tax incentive, for example, and then you can purchase a house which needs to be upgraded before any cash can be collected from opponent. Upgrading the house is cleverly done in 3 steps, starting where you first make your house efficient by upgrading lighting and hot water heating, before a solar panel can be purchased – the more efficient your house, the more cash you collect when an opponent lands on it. The game also teaches financial management, and takes the player on a learning rollercoaster of excitement and interaction whilst changing the gamer’s habits towards using less energy. When your money runs out, you are out of the game, so wise decision-making is required weighing up financial risk versus the energy efficiency benefits the investment provide forms a crucial part of the game. It is designed to last no longer than 15 minutes, ideal for a tea break or during lunchtime in the staff room. Already played throughout South Africa in schools and companies with very positive gamer feedback as can been seen from figure 1. 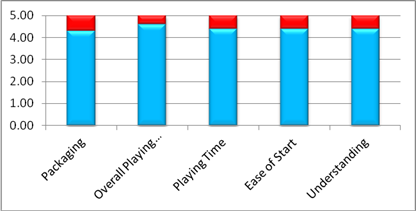 Figure 1: Gamer feedback after playing the Energy Awareness Game – all aspects greatly enjoyed. Manufactured in South Africa and distributed through the channels of The Energy Training Foundation (EnTF), the sole approved training partner of the Association of Energy Engineers (AEE) in the USA, and a training provider of the South African Association of Energy Efficiency (SAEE). The game costs R750-00 (excl VAT) and is available at a launch price of R690-00 (excl VAT) as a launch price of the first 100 sold. Collection is in Pretoria, Port Elizabeth and Potchefstroom depot points. Bulk orders are welcomed and can be quoted on, as well as branded games and customisation to only residential, commercial or industrial type energy saving tips. Online ordering can be done here – or email yolanda@entf.co.za for customisation.